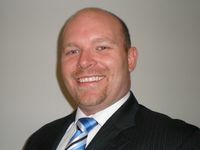 Mathew started his Banking career in 2002 with the Commonwealth Bank. After spending some time in the Branch network, Mathew moved into a credit role in their Home Loan department. It wasn’t long before Mathew was appointed as a Senior Credit Manager, handling some of the most complex applications in the team. With this experience, Mathew took all education opportunities afforded to him, including a Master’s Program. In 2008, Mathew was promoted to a Management role within the team and quickly earned a reputation for looking outside the square to help potential customers. In late 2011, Mathew decided to leave a successful career with the Commonwealth Bank to become a mortgage broker and formed Curtis Financial. It wasn’t long before his credit knowledge saw him processing a large volume of applications in both the residential and commercial spaces. Mathew’s knowledge of banking and finance means that applications are processed with meticulous detail and structured correctly to benefit the immediate and future needs of all clients. Mathew formed Curtis Financial with one service promise, to always put the client first and this has served him very well. With the education first approach and no pressure environment, Curtis Financial consistently scores 100% in customer satisfaction surveys.